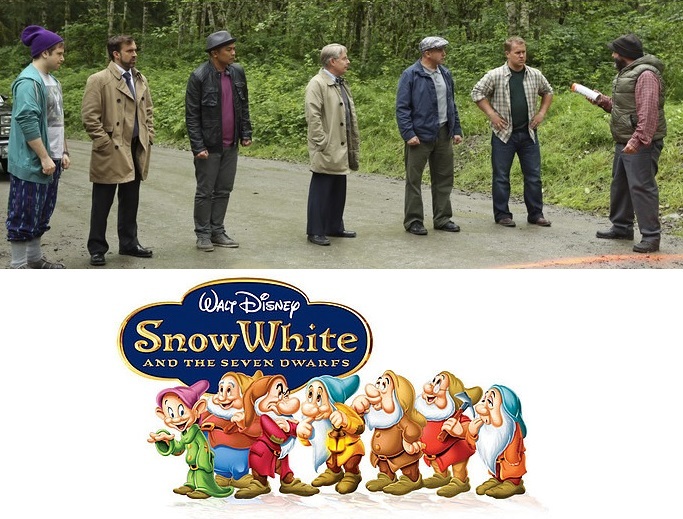 gabe khouth | Once Upon a Time, NCIS operated in Castle far far away. Heigh ho. Heigh ho. It’s off to tweet, I go. So, here’s an update on my quest to learn the favorite colors of all 7 dwarfs on Once Upon a Time. I have currently gotten a reply from 5 of the 7 with 4 being favorite colors. Lee Arenberg (Grumpy) has replied to me while Michael Coleman (Happy), Faustino Di Bauda (Sleepy), Jeffrey Kaiser (Dopey), and Gabe Khouth (Sneezy). All of the actors are really nice when replying on twitter and most have had very created responses and/or have favorited my tweets. Gabe Khouth’s was my personal favorite and he seems like a really chill dude. I am still attempting to get replies from Mig Macario (Bashful) and David-Paul Grove (Doc). Will I ever learn all seven colors? The world may never know.